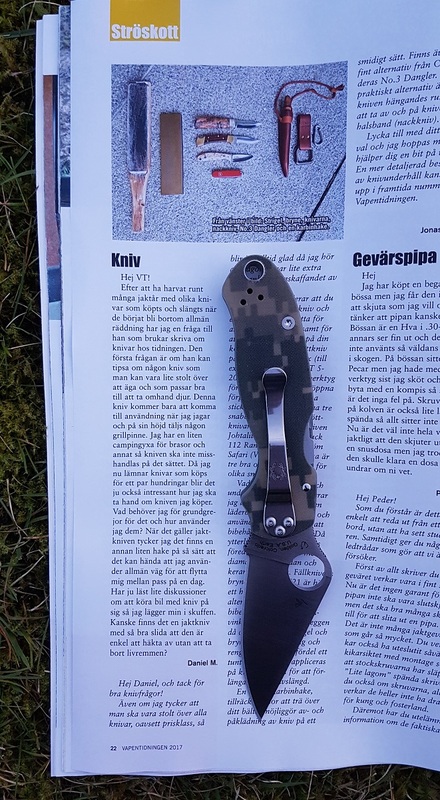 I've now been carrying the Spyderco C223 Para 3 for a while and inside the mag Vapentidningen (No.8 - 2017) you can read my thoughts and some of the history of the knife. Para 3 is a new generation of the Para Military wish originally was inspired of the the larger model Military. 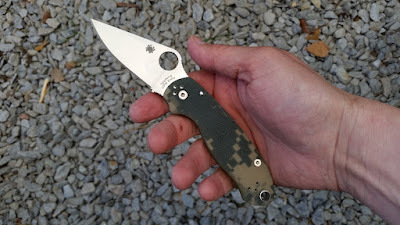 Para 3 is more slimmed compared to it's predecessors and is a nice good quality EDC. 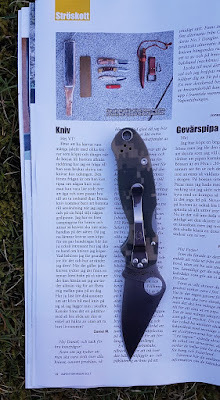 I especially like the design feature placing the liner lock mechanism on top of the handle. 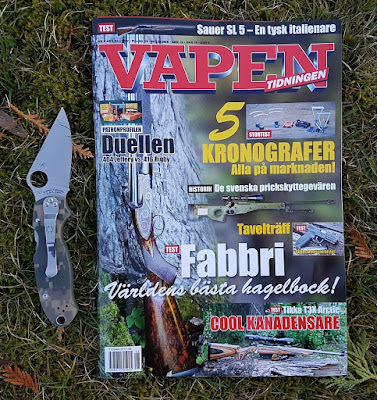 Inside the same issue of Vapentidningen you'll also find my answer to Daniel M's reader question regarding; knife choice, maintenance and carrying. 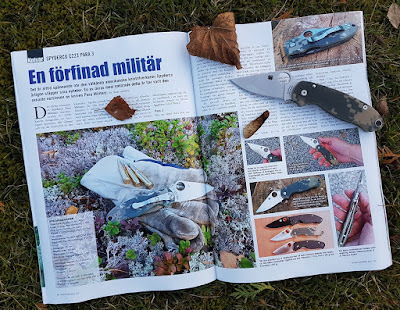 I also recommend you'll read the articles; Ruger American Pistol (Henrik Kalling), test of chronographs (Johan Ljungné) and Tobias Hassel's three favorites.